On March 5, three suspicious packages were found at three separate locations in London, including City Airport (LCY), Heathrow Airport (LHR), and Waterloo Station, and one at Glasgow University. A claim was made taking responsibility for five devices (one of which has yet to be uncovered), on behalf of a group referring to themselves as the Irish Republican Army. Actions from the new IRA will increase frictions in Northern Ireland and cause further disruptions in Great Britain, with additional incendiary devices and false alarms. Although the Brexit vote brought about new tensions surrounding Northern Ireland, the security landscape is in such a position that a resurgence of “the Troubles” seems unlikely. Take additional security measures with regards to screening mail sent to private and work facilities. On March 5, three suspicious packages were found at three separate locations in London. 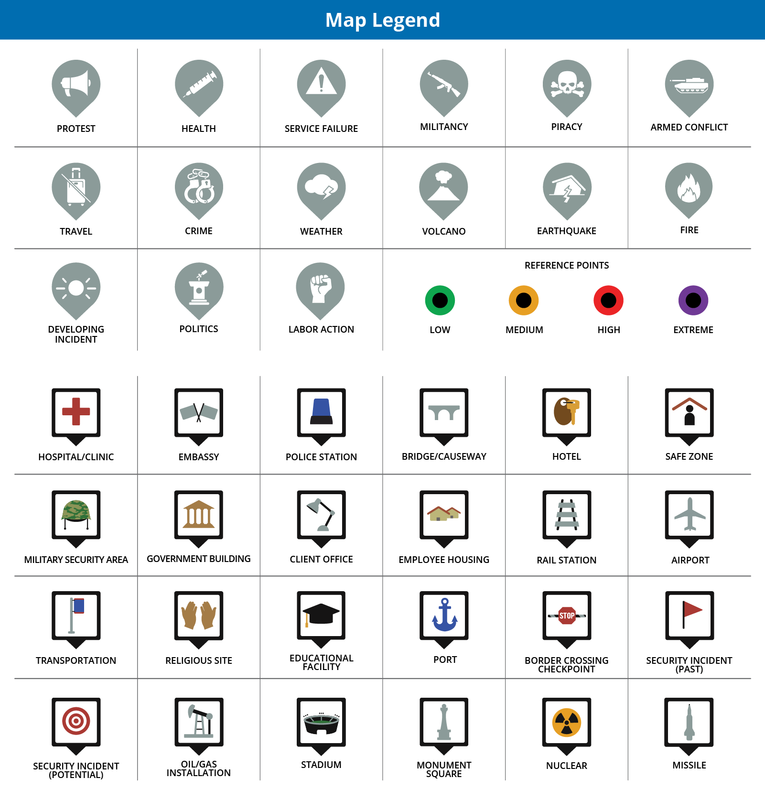 At approximately 09:55 (local time), a package was found at The Compass Centre, an office building on the grounds of London’s Heathrow Airport (LHR). The package was opened by the staff within the building, causing the device to ignite and burn part of the package. The building was evacuated and no one injured. Specialist police officers arrived to inspect and safely dispose of the device. Despite the fact that the building was evacuated, the incident did not affect operations at the airport. Police said that the device would have been capable of lighting an initially small fire. The devices were sent in A4-sized postal bags, which contained yellow padded envelopes. On the same day, at around 11:40 (local time), a second package with an incendiary device was found in the postal room at London’s Waterloo Station. The package was not opened and specialist officers disposed of the device. The station was not evacuated, but the area around the location where the device was uncovered was cordoned off. Operations were not affected. Later on March 5, a third similar package was found around 12:10 (local time) at the offices in City Aviation House, in London’s City Airport (LCY). The building was evacuated and no one was injured. The next day, on March 6, a suspicious package was found at the University of Glasgow. The device was posted to a British Army recruitment office on campus. The package was not opened, however, various buildings at the university were evacuated. Later in the day, Officers from the Met’s Counter Terrorism Command linked the three devices found in London to the one found at the University of Glasgow, based on subtleties and similarities in markings and the types of device. It was subsequently announced that security forces suspected factions of Northern Irish republicans to be behind the incidents. On March 11, a claim was made through a media outlet in Northern Ireland, taking responsibility for five devices (one of which has yet to be uncovered), on behalf of a group referring to themselves as the Irish Republican Army (IRA). The claim used a number of codewords recognized by security forces as being traditionally linked to the IRA and dissident republican factions. On March 14, the trial of a former British soldier began in Northern Ireland. The former-soldier was charged for two murders during the 1972 “Bloody Sunday” protest, in which 13 unarmed Catholic civil rights marchers in Londonderry (locally referred to as Derry) were killed by British paratroopers. More than 10 militant incidents, including attacks, threats, and arrests, were reported in Northern Ireland since the beginning of 2017. These include an incident on January 19, when a car bomb was detonated outside a courthouse in Londonderry (Derry). Following the incident, two individuals were arrested, thought to be linked to the IRA. Tensions between the Republic of Ireland, the UK, Republican factions within Northern Ireland, and their Unionist counterparts have significantly increased in recent years following the referendum on the UK’s decision to leave the European Union. Particularly, the matter of the “Irish backstop” has caused a number of issues. The backstop was planned as an EU plan to guarantee that there would never be a hard border between Northern Ireland and the Republic of Ireland, however, pro-Brexit Members of Parliament see it as leaving the UK in a potentially indefinite customs union with the EU. 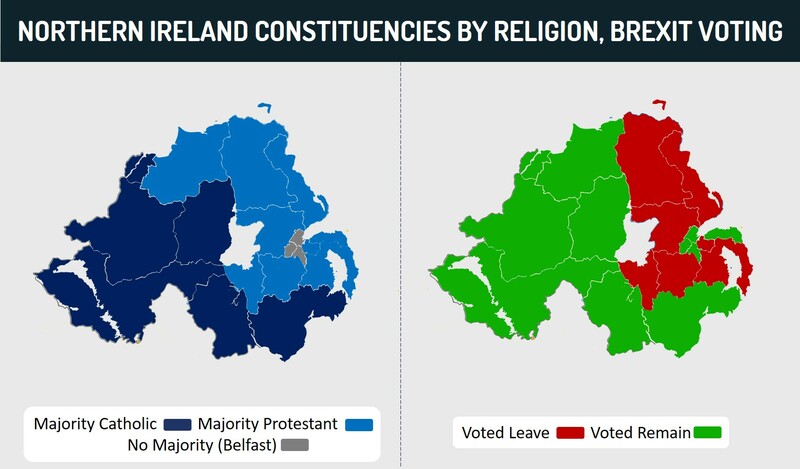 More broadly the issue of the position of Northern Ireland following Brexit has been highly contentious with the majority of Catholic Republicans voting to remain in the EU and majority of Protestant Unionists voting to leave. 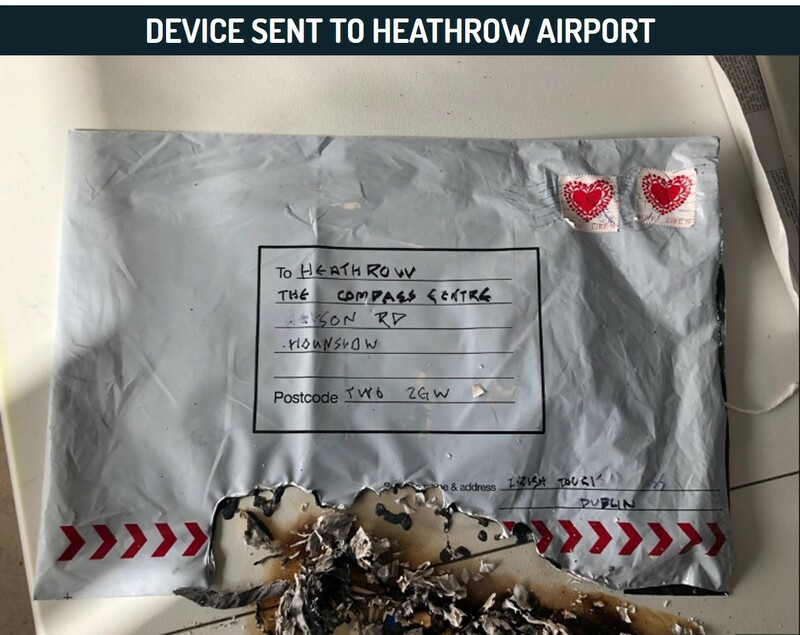 Despite the fact that the packages sent at the beginning of March appear to have come as part of a coordinated plan to disrupt and cause harm at major targets within the UK, they do not necessarily indicate that the group behind them has particularly sophisticated capabilities. The devices themselves do not seem to have been well made or successful, as evidenced by only one partially detonating. With this, it is likely that the group behind the attacks do not pose a significant threat to the safety of security of businesses and citizens in Great Britain. Furthermore, there is no indication that the group who sent the packages are of any considerable size or have a robust organizational structure as a militant faction, let alone have the capabilities of the former IRA. That said, the incident is highly noteworthy for two main reasons. First, it is both indicative of rising tensions in Northern Ireland and has the potential to further increase fears of an IRA resurgence in the country. Fears among Protestant communities will likely increase, potentially causing sectarian gangs to attempt to arm themselves and carry out rival attacks. The majority of such attacks are liable to take place in major cities such as Belfast and Londonderry (Derry). FORECAST: In the immediate term, such violence is likely to come in the form of stabbings, small shooting attacks (targeting buildings more than people), and small IED attacks. The death toll is initially not expected to be high. That said, all of the above will catalyze tensions and build on a cycle of violence which could escalate. Second, the disruptions which were witnessed in Great Britain may encourage other dissident Irish groups, or other unrelated militant groups, to look to carry out similar attacks with the intention of shutting down major airports or transportation hubs. FORECAST: With that in mind, additional IED attempts, package bombs, or bomb threats are liable to continue in 2019, increasing tensions and fears within Great Britain. The increase in incidents since the Brexit referendum on June 23, 2016, has clearly shown that the underlying religious and political currents that led to the decades of fighting up until the 1990s have not completely dissipated. On the contrary, to some extent, they have the potential to reemerge, potentially bringing about the worst violence in Northern Ireland since the Good Friday Agreement signed in 1998, which brought about peace in the region. In addition, the issues, such as the trial of the British soldier over the “Bloody Sunday” incident, have the potential to add to the existing frictions. FORECAST: However, it is important to note that the security and political landscape in the UK has significantly changed since 1998 and has done so in such a way that a return to a similar situation as “the Troubles” is highly unlikely. For one thing, within Northern Ireland, there has been almost a whole generation who have come of age since the end of the violence, many of whom will have far less intense memories and feelings of aggression over Northern Ireland’s history. In addition, IRA supporters in the Republic of Ireland, as well as in the USA, are far less likely to take an active role in aiding the organization in attacking the UK, as occurred during “the Troubles”. Thus, the IRA is likely to be far less well-armed, far less socially accepted, and far more underground. Finally, since the end of the “the Troubles”, the UK took drastic steps to upgrade its security and anti-terrorism infrastructure, mostly due to the then-new threat of Islamist militancy. This means that the new IRA would be not only building itself to fight against decades of institutional memory on Northern Irish militancy but also many years of continuous training and expertise obtained while the UK defended itself against jihad. Travel and operations in the UK can continue while remaining aware of underlying threats and disruptions caused by militancy. Take additional security measures with regards to screening mail sent to private and work facilities. When screening posts for suspicious items, look out for the following: Oil stains on the envelope, too many stamps, unknown/unfamiliar sender, recipient not expecting the letter, typos/spelling mistakes, non-standard envelope, envelope within an envelope, no postal authority stamp. Hey Buddy!, I found this information for you: "The Islamic State in London: An evolution in lone-wolf terror and what you can do to be prepared". 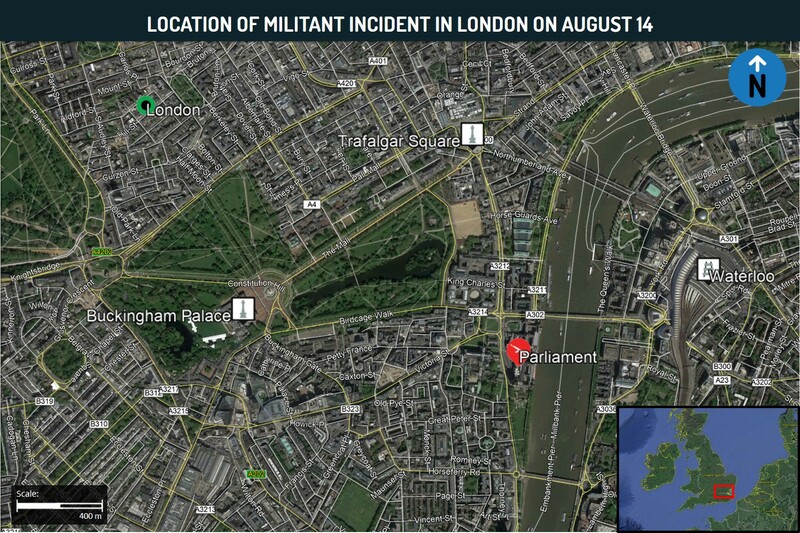 Here is the website link: https://lp.max-security.com/is-in-london-evolution-of-lonewolf-attacks#new_tab. Thank you.